Manufacturer of standard line of bearings 1"-30" in chrome steel, stainless steel & high tempered tool steel. Custom design & supply of specialty bearings, seals, retainers, coatings ball material, grease specification & ring material. 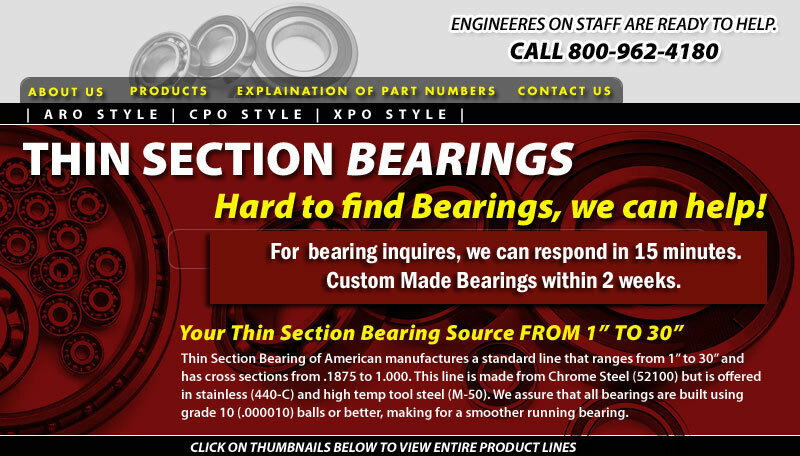 Bearings in Conrad, duplex, 4-pt contact (axial stiff) & angular contact (thrust bearing) styles with retainer/cage types including snap over & circular closed pocket phenolic, nylon, brass & stainless.